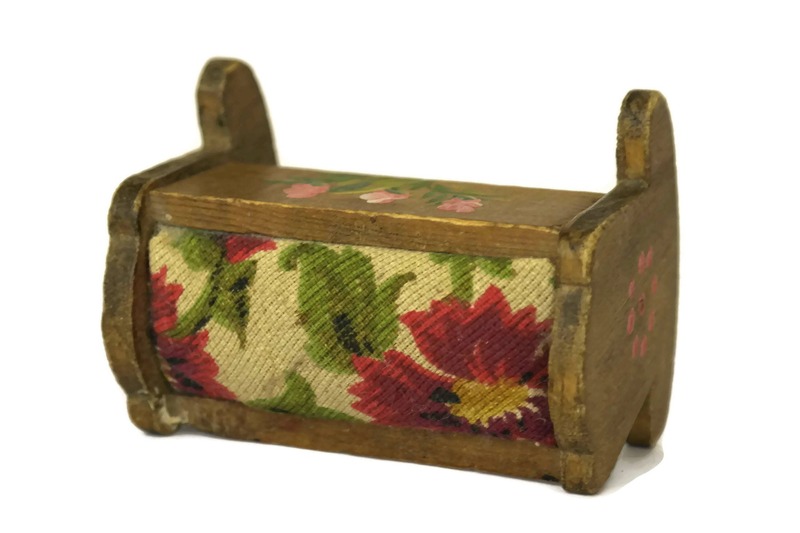 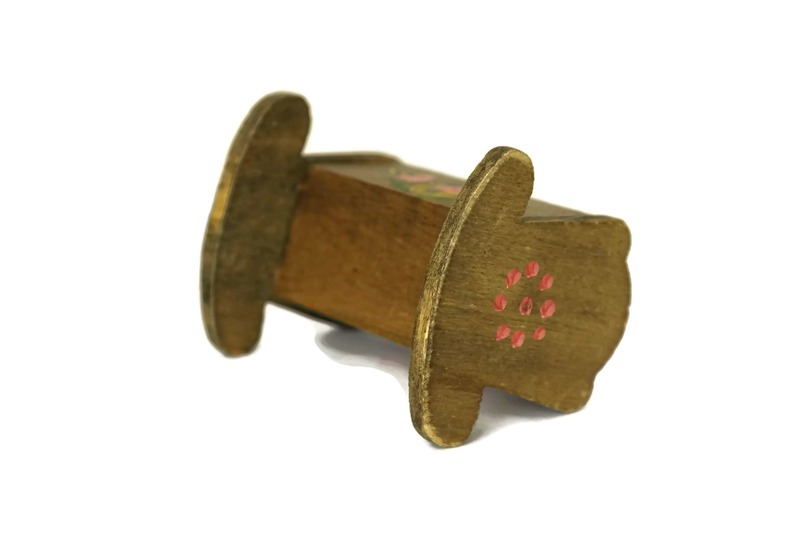 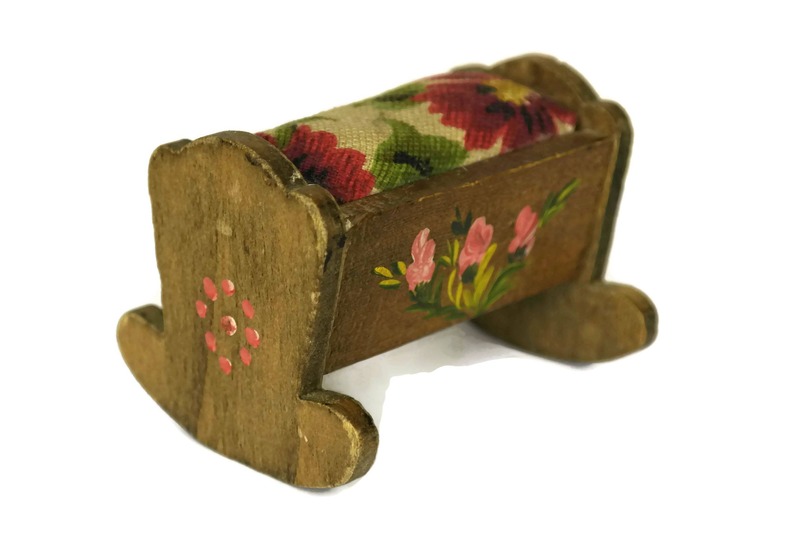 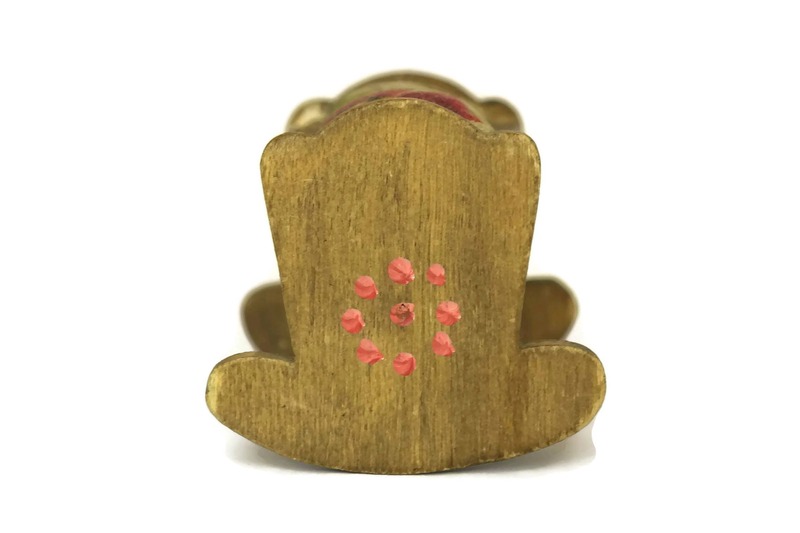 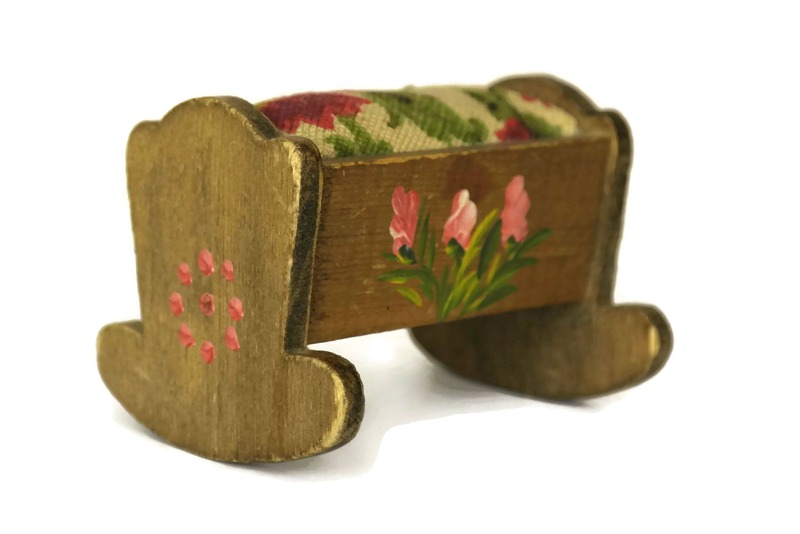 A charming vintage miniature crib wood pincushion dating from the 1950s. 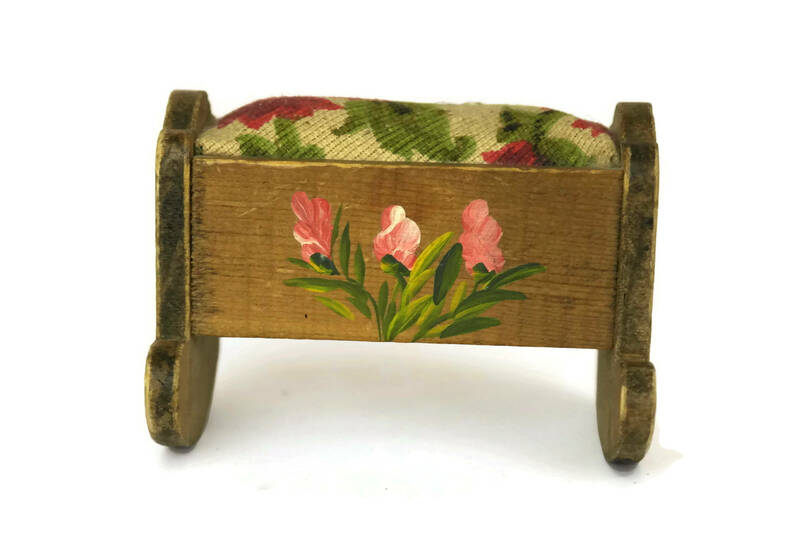 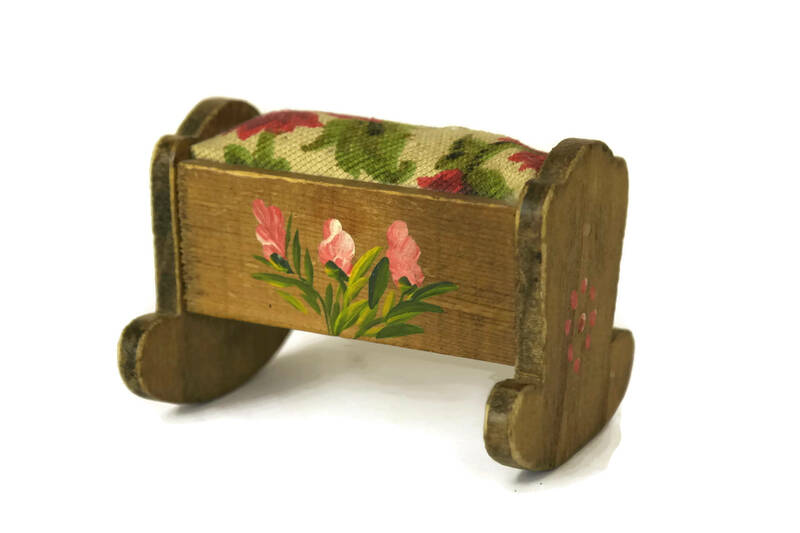 It has been handmade and features a floral fabric cushion and hand painted flower patterns on the wooden sides. 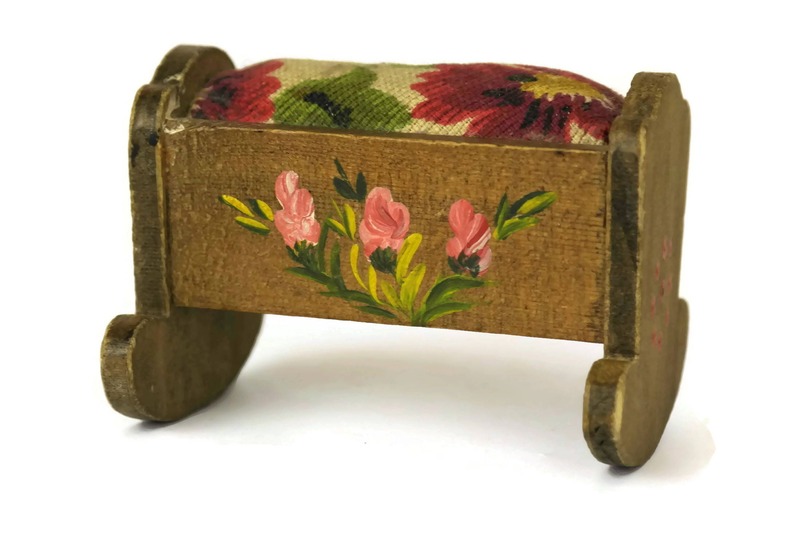 It will make a sweet sewing gift for her. 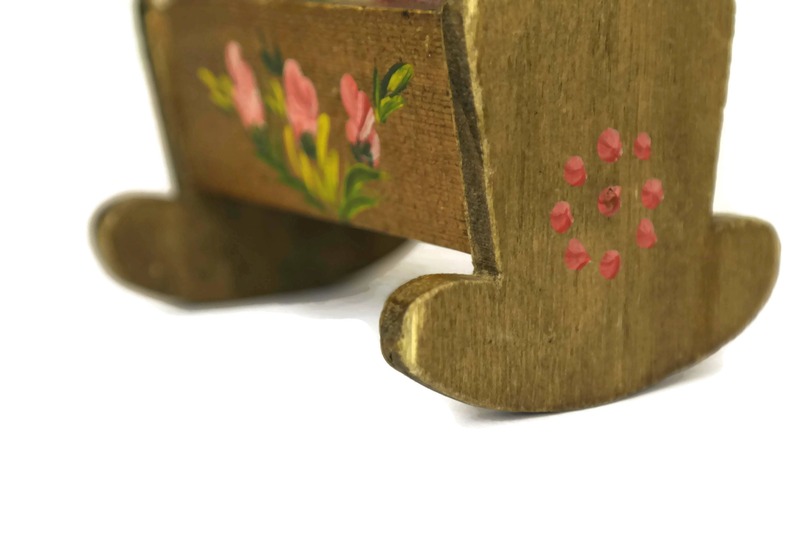 (8 cm x 6,5 cm x 6,5 cm). 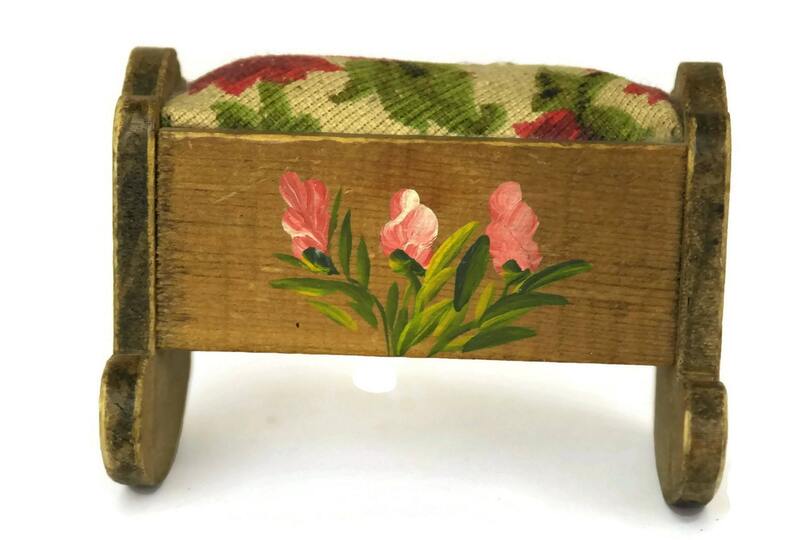 The vintage baby cot pincushion is in very good condition with some light signs of age and wear.